Visit Lana’s Beauty Zone – a Premier Los Gatos Skin Care Services, for highly effective skin and body care where you will receive the personal attention and professional care you deserve. Svetlana “Lana” Tokar is a licensed Esthetician who has been practicing at leading Bay Area spas for over 20 years. Lana specializes in treating aging and problem skin and always selects the highest quality ingredients with proven results. Her philosophy is based on fundamental non-invasive European principles of skincare and she will help to put you on the proper path in your skincare regimen from your spa treatments to lasting results at home. 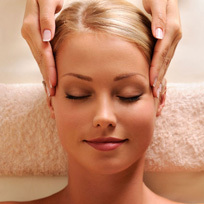 Facials Lana’s more than 20 years of experience is your secret weapon to glowing younger looking skin and healthy skin. She will guide you to the facial best suited for your skin. 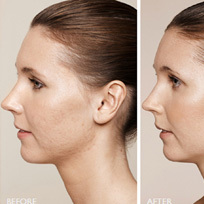 Acne Treatment Lana’s Beauty Zone is specializing in skin care and skin problems. If you want to reduce blemishes and soothe inflammation ask about Lana’s Acne Facial. Body Treatments Lana’s Beauty Zone premier body treatments use organic, all natural ingredients, including freshly harvested seaweed from the Dead Sea. Waxing Lana will provide the highest quality experience for your wax. She will take the utmost care to to protect the health and elasticity of the skin, leaving skin absolutely smooth. We provide top quality skin care service in Los Gatos and surrounding areas! Proudly Serving Los Gatos for more than 20 years! Notice: Walk-ins are welcome, depending on availability. Please call for an appointment (650) 947-4004 for your best skin care services.